AKIPRESS.COM - A cleaner at a British university broke down in tears after students raised $2,063 to send him and his wife to Jamaica on vacation to see family, NYPost reported. Herman Gordon, who has worked at Bristol University for more than a decade, is described as “one of the most loved” members of its cleaning staff. He is so well liked a group of students raised money to give him a holiday. 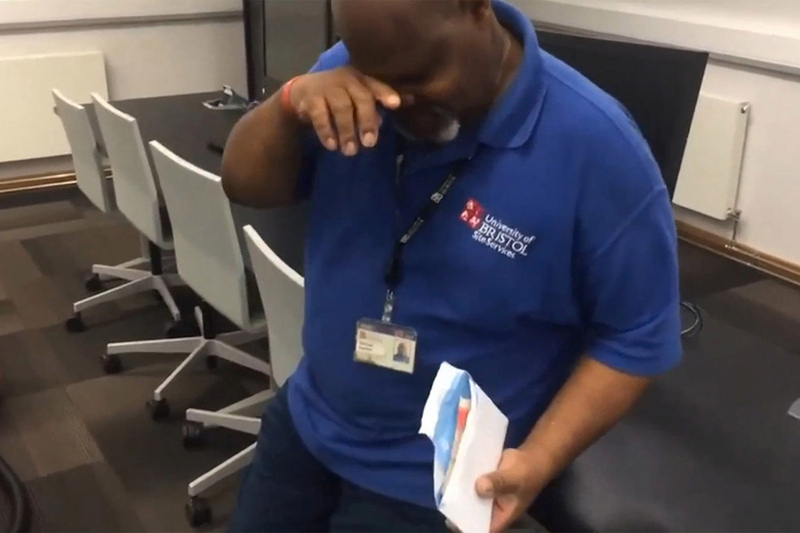 A video shows a student hand an envelope of cash to a surprised Gordan who immediately begins to tear up. He wipes away tears with a cleaning cloth and hugs the student who gave it to him. The group of students started the fundraising page because they liked Gordon so much.